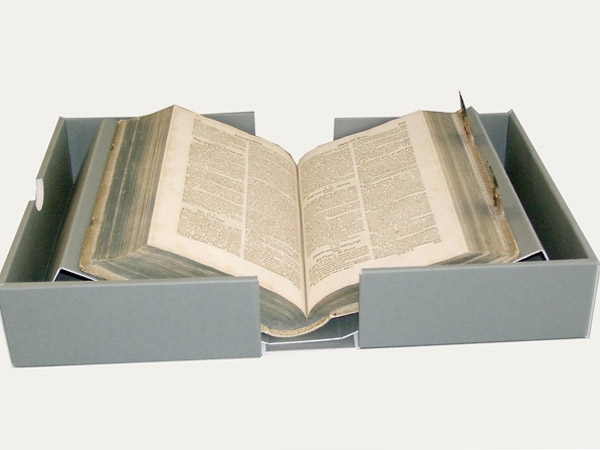 During the MUTEC 2005 trade show KLUG-CONSERVATION introduced a new bookend support for fragile and delicate incunabula, in particular for objects with solid backs (e.g. wooden book covers of the 15th and 16th centuries). 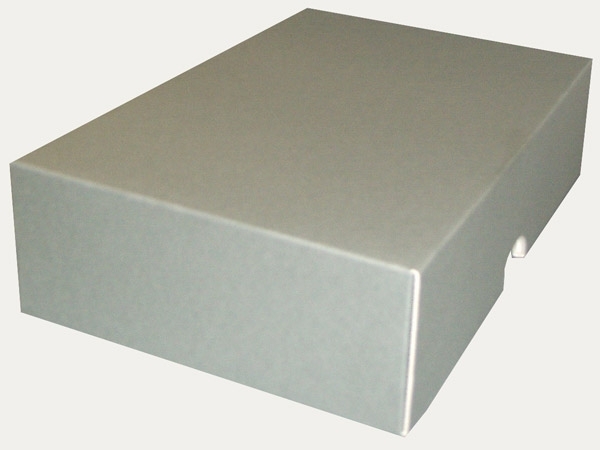 The uniqueness of this newly developed bookend support is that it is custom-made to fit exactly into a clamshell KS 3 or KS 17 box. 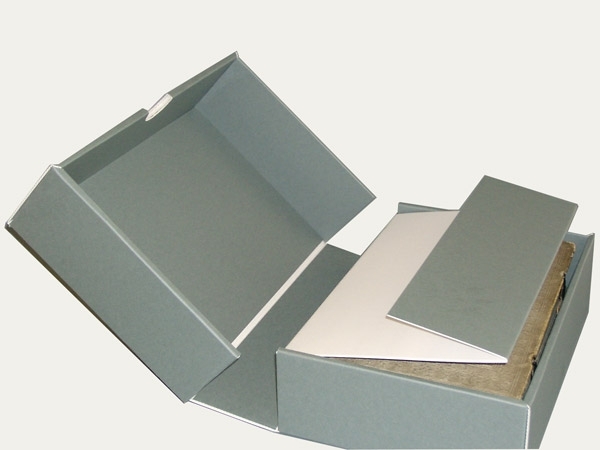 If the bookend is not being used, then it can be easily stored in the interior of the box. The object being archived in the clamshell box can be displayed by simply placing it on the enclosed bookend. Thus the neccessity of placing the object horizontally on a table, which on the other hand can easily lead to damage, can be avoided. The extra cost for this simple bookend is marginal.